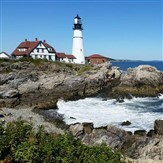 Join Martz for a 5-Day trip to Maine!! Moose, Lakes and Mountains!!! All tour inclusions are subject to change due to availability. Martz reserves the right to revise the itinerary and make substitutions of equal value.